Once again, Corn Island Archaeology will be conducting a public dig at their office, the Conrad Seaton house. Stop by their booth to chat or do some digging yourself! 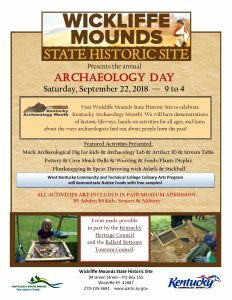 Join us in discussing archaeology of the area.